The sun has faded, as another busy day in Manhattan Beach has passed. I chose a long exposure which accentuates the peaceful evening hours, producing a soft and ethereal effect on the ocean waves. I took a series of photos at different focus points and stacked to deliver a super sharp image all the way through the scene. 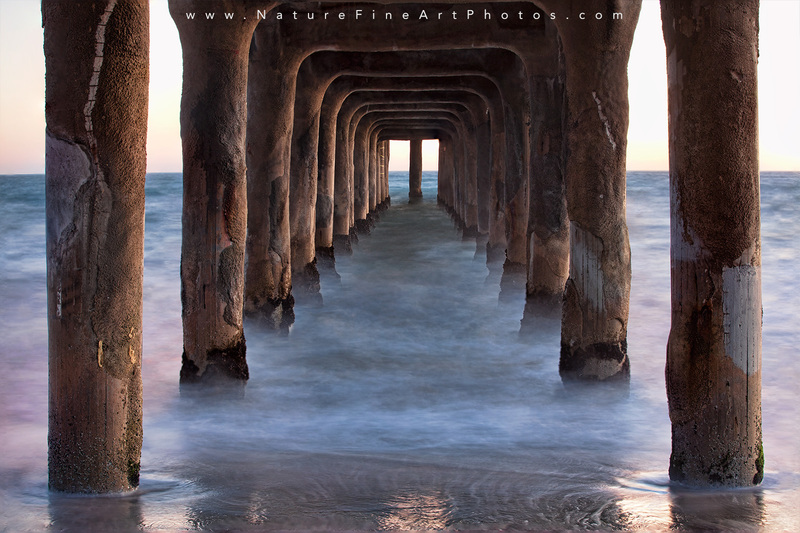 Check out the black and white photo of Ethereal Manhattan Beach Pier.